If this post seems a little like déjà vu, you’re not mistaken. 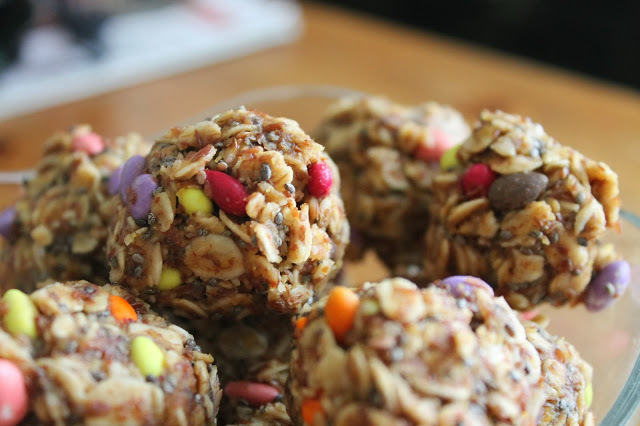 I made a recipe similar to this 3 months ago – my healthy peanut butter bites – for me and my friends to have as snacks for a weekend trip to Vegas. Well, it should be no surprise that this recipe came up when we planned another Vegas trip. We loved having these bites the last time, but I wanted to try something a little different this time around. I didn’t want to add any sugar but last time I felt they were missing chocolate (everything without chocolate is missing chocolate) so I added chocolate covered sunflower seeds. Healthy, right? That’s what I thought. Coconut oil is great because it can liquify to mix it together but when it comes back to room temperature it solidifies, holding these together a bit better than before. These were definitely well received by all the girls and there were only a few left over which I proceeded to eat Monday for breakfast. Good choices all around. 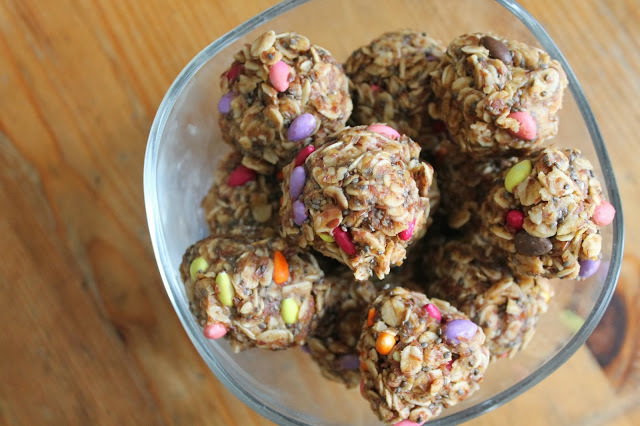 If you’re looking for a delicious and pretty healthy peanut butter granola snack, these are definitely for you. You can make them for yourself to help power through studying or long work days, or you can share them with those around you. It’s up to you! In a large mixing bowl, combine oats, flaxseed, salt and chia seeds. In a microwave safe bowl, combine peanut butter, coconut oil, and honey. Microwave for 15 second intervals, stirring in between until combined and a smooth consistency. Pour over oat mixture and mix together. Stir in sunflower seeds. 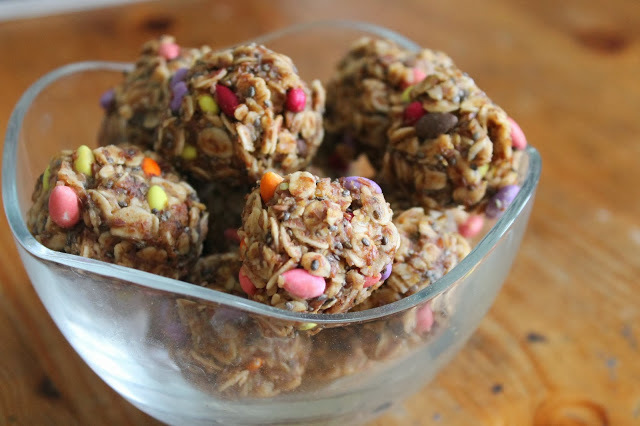 Wet your hands and form granola into small balls. Store in airtight container and refrigerate.